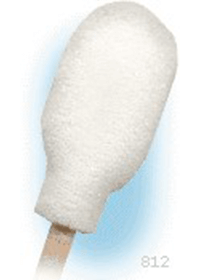 A highly absorbent precision cleaning applicator. Shred resistant, 100% urethane foam heads with 100 PPI porosity over extra absorbent U.S.B. pharmaceutical grade purified cotton. Bonded securely to a 6″ birch shaft providing extra strength when additional pressure needs to be applied.